The year 2014, as every schoolboy knows, marks an important anniversary. 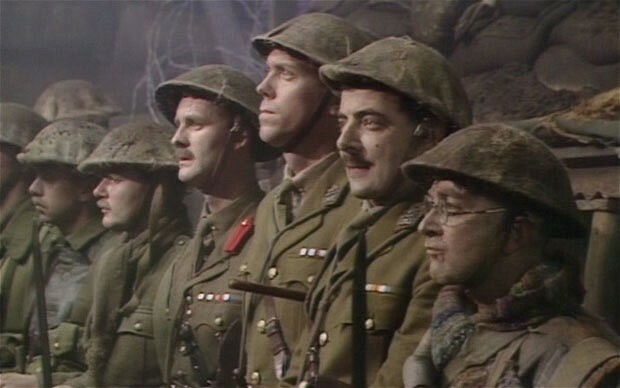 It is twenty five years since the final series of perhaps the best British sitcom of all time, Blackadder: Blackadder Goes Forth. It is a shame then, that some have used another anniversary (the centenary of the outbreak of the First World War) to attack the much loved series. 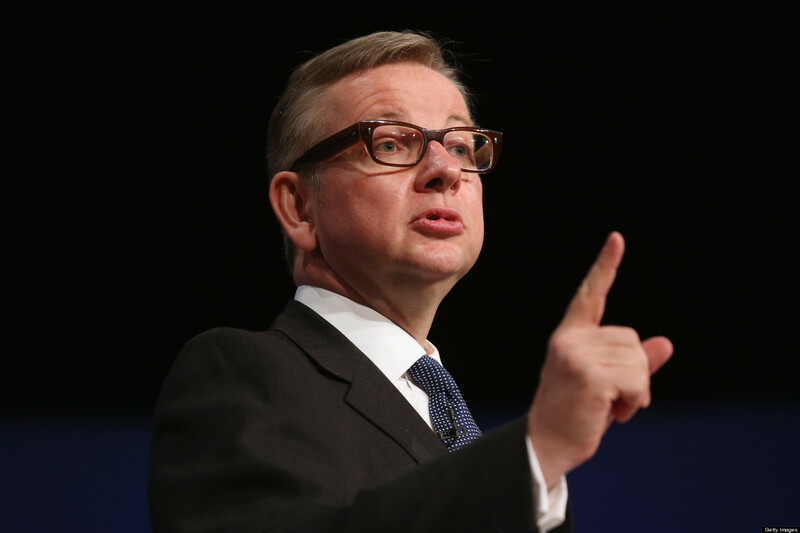 Unpopular Education Secretary Michael Gove is only the latest to do so, launching a broadside at the sitcom during a wider attack on “left-wing versions of the past designed to belittle Britain and its leaders” in The Daily Mail. “The conflict has, for many, been seen through the fictional prism of dramas such as Oh! 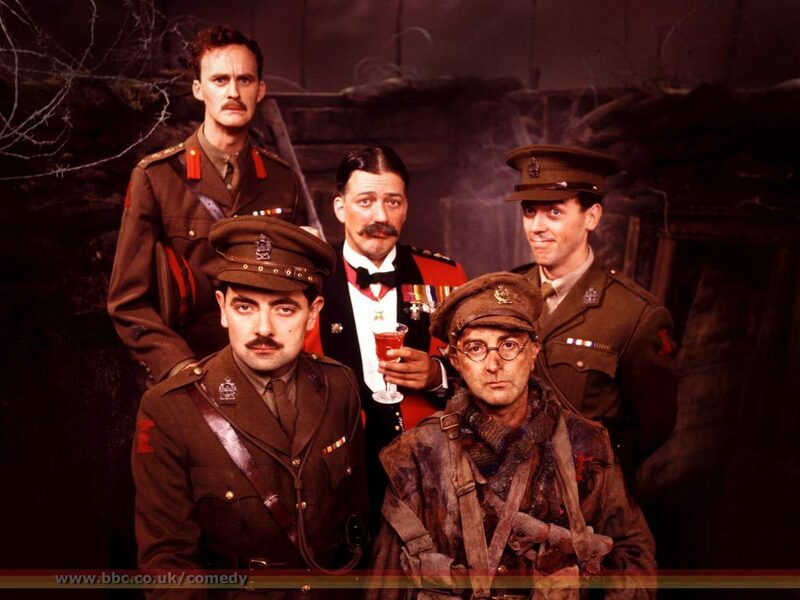 What a Lovely War, The Monocled Mutineer and Blackadder, as a misbegotten shambles – a series of catastrophic mistakes perpetrated by an out-of-touch elite,” Mr. Gove has written. Gove seems to have thrown Blackadder into the attack almost as an afterthought. Blackadder is not , after all, a “drama”. Watching the series again, it is difficult to understand what he is on about. It is hard to see where, for example, he feels Blackadder “excuses Germany of blame” for the war. Presumably, he is unhappy with the portrayal of the real life Field Marshall Haig by Geoffrey Palmer in the last episode. At one point, Haig is shown callously brushing “fallen” toy soldiers off a replica battlefield with a dustpan and brush. The Education Secretary also doubtless dislikes Stephen Fry’s portrayal of the buffoonish General Melchett. “We’re right behind you!” Melchett reassures Baldrick (Tony Robinson) as he sets off for the Front. “About thirty five miles behind you,” Blackadder (Rowan Atkinson) responds dryly. Gove points to new revisionist histories which he says paint both the role of Haig and the merciless slaughter of the Battle of the Somme in a new light. But it is unfair to attack Blackadder for this. Not only were these new interpretations not around in 1989 when the series was made but they are highly questionable anyway. Gove argues that the Somme which occurred in 1916, more than two years before the end of the war in November 1918 can now be viewed as a “precursor to victory”. It is worth remembering that on the first day alone of the Battle of the Somme, British fatalities alone were close to twenty thousand, seven times the entire number of deaths from the World Trade Center attacks in 2001. And not a single British General died on the Somme. Although the Daily Mail has captioned pictures surrounding Gove’s words with phrases like “Captain Coward” for Blackadder himself, this is unlikely to be a view shared by many who viewed the programme. The series, of course, ends with all the main characters charging wilfully towards death on No Man’s Land. They know they are probably going to die, but proceed anyway. What on Earth is cowardly about that? Gove argues that: ”For all our mistakes as a nation, Britain’s role in the world has also been marked by nobility and courage.” Nobility and courage? Don’t the deaths of Captain Blackadder, Lieutenant George, Captain Darling and Private Baldrick perfectly exemplify these qualities? Attacking popular culture rarely works out well for politicians. Michael Gove’s botched attack on Blackadder is no exception.